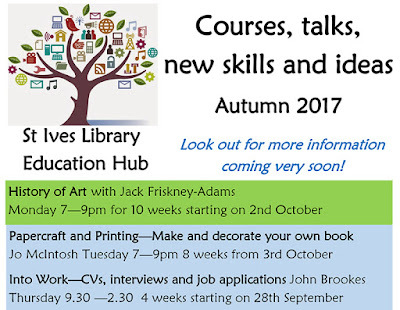 There is a new programme of courses to open the new Education Hub at St Ives Library - in association with Workers Educational Association (WEA) Cornwall. Help with CVs, interviews and job applications. Thursdays 9.30 am — 2.30 pm. For 4 weeks starting on 28th September. Free places for those on qualifying benefits. Artists of the 20th century, women in art and more. Mondays - 7.00 to 8.30 pm. 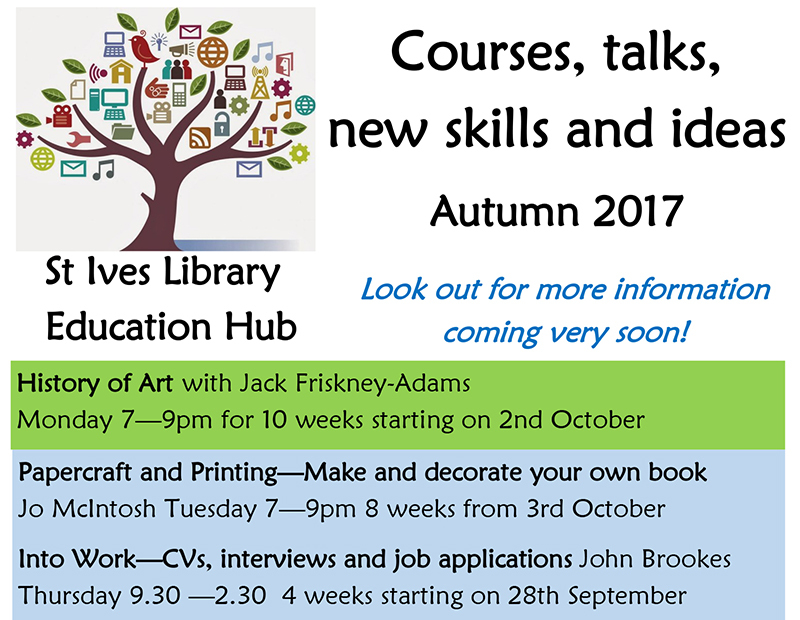 For 8 weeks starting on 2nd October. Cost: £4.00 per session, no need to book. Tuesdays - 7.00 to 9.00 pm. For 8 weeks starting on 3rd October. Cost: £62.00 for 8 weeks, booking essential. 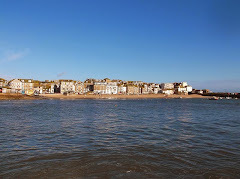 Further courses are planned - in association with WEA Cornwall and Penwith College. The first of these is Introduction to Cornish Folklore on Wednesday 20th September at 7.00 pm.